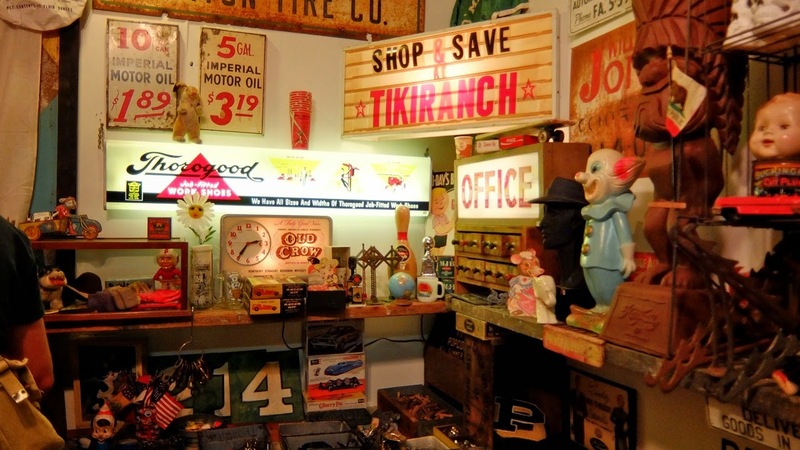 This year, I was lucky enough to be in LA for the biggest weekend of vintage shopping ever! 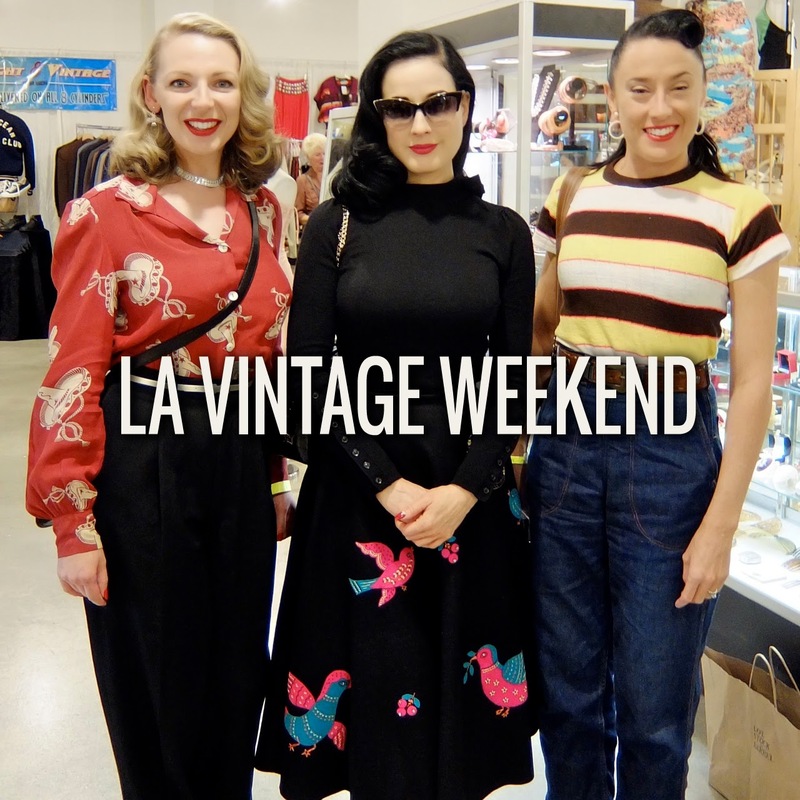 For the first time, LA Vintage Weekend brought together the Vintage Fashion Expo and Inspiration LA under one roof. And with the Rose Bowl market on the same weekend, there was more shopping than I could handle. And I can handle a lot. The weekend kicked off with Inspiration on Friday afternoon. 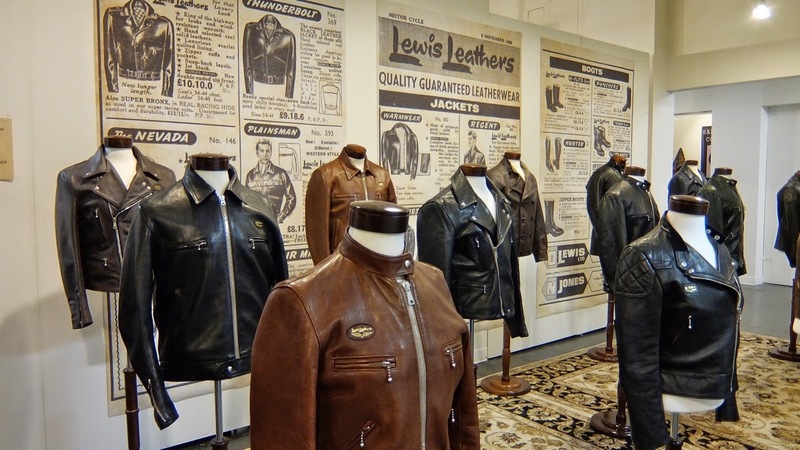 Now in its seventh year, Inspiration is growing from its mens’ workwear roots to welcome high-end vintage women’s wear as well. It’s still mostly denim, leather, beards and pomade, but hey, I never heard any ladies complain about that. I went to Inspiration for the first time last year and had no idea what to expect. It’s part clothing fair, part expo, part festival. 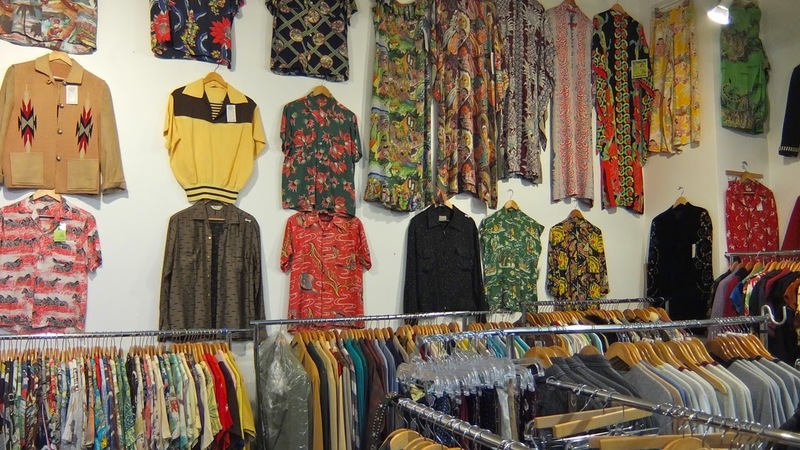 It’s like a huge party for well-dressed people who love looking at cool stuff. There’s also free drinks on Friday night! Every vendor puts a lot of care and attention into their displays, there’s eye candy everywhere. It can actually be hard to shop because you’re too busy looking! The merchandise is generally the best of the best, and the prices reflect that, but there’s a few bargains here and there. A lot of fashion designers come to shop and be inspired... Apparently Ralph Lauren was there to make some purchases, but I didn't see him! 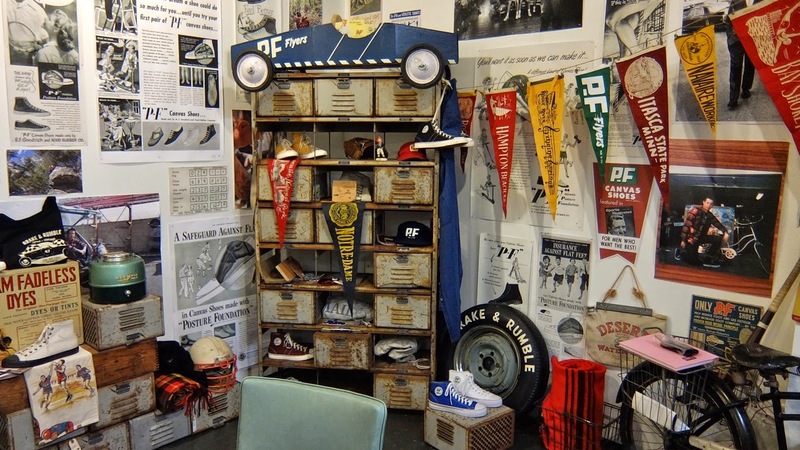 The PF Flyers stand was so beautifully curated. So much to look at! 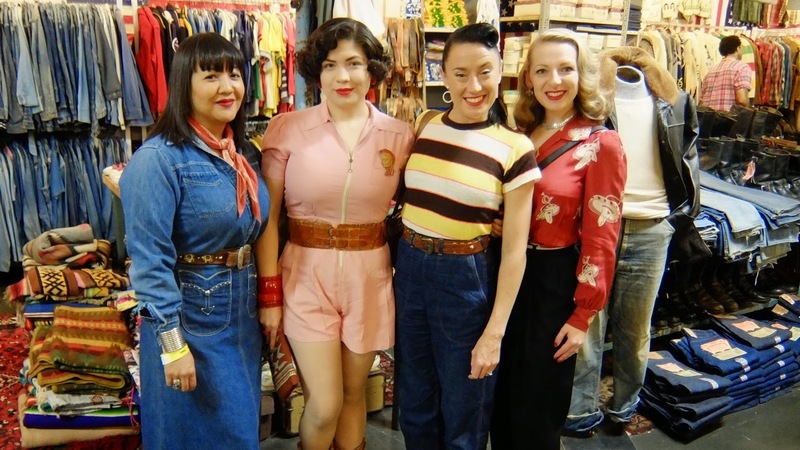 The next day, we were back at the LA Mart for the Vintage Fashion Expo. Having spent all my money at Inspiration the day before, I didn’t buy anything, but the ladies and I had a lot of fun looking. It was also great to see Dita Von Teese, who was wearing a beautiful felt circle skirt by Juli Lynne Charlot. 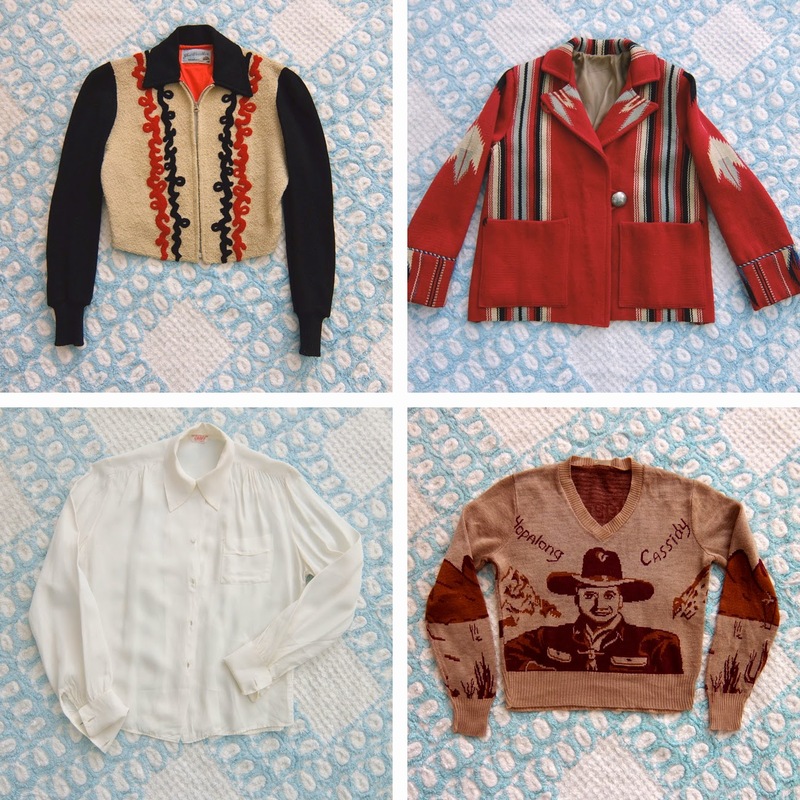 I know everyone will want to see the weekend haul, so here it is… Two jackets, a rayon blouse and a Hopalong Cassidy sweater. Want to see more fabulous people at Inspiration? Check out the image gallery on the Inspiration website. You won't be disappointed!